With the success it received from this impressive kick, Jordan Brand added one more colorway of the Jordan Flight 23 Classic that is now available in the market. Released in Black/Stealth – White colorway earlier this month, the Jordan Flight 23 Classic is also now available in Gym Red/White – Black colorway. 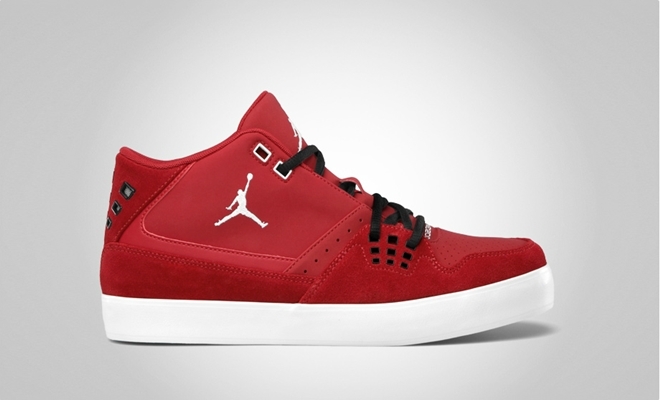 The upper part is dominated by Gym-Red accents with black laces and white Jumpman branding and outsole. Like before, this classic sneaker provides superb comfort and durability plus a solid look that will surely turn heads while you are wearing it! Get it now for just $85!